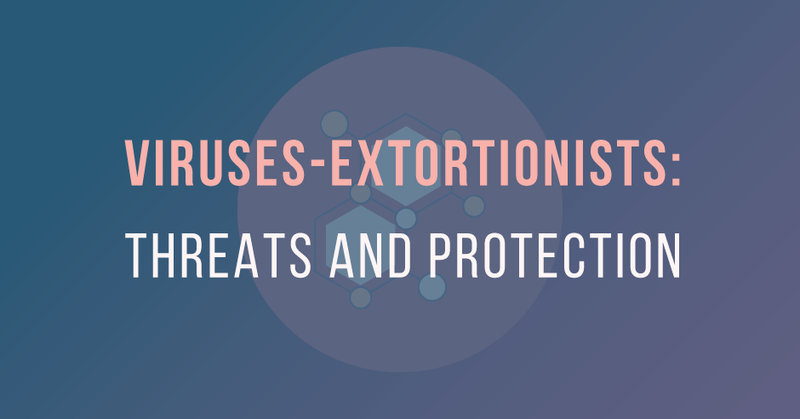 A separate category of viruses-extortionists should be allocated amongst the large number of malicious programs. For sure, some of you have already faced them – all files turned into rubbish, and the screen displays message that you are required to pay to return them to the previous form. How to escape from dangerous viruses, how do they work and is it possible to return the data without losing your money? Programs-cryptographers are often Trojans. These “viruses” are able to get on the user's PCs in various ways, but in 90% of cases, the cause of the infection is careless user. Because these programs are designed to bring money to fraudsters-owners, their distribution is often targeted. Mostly, they are delivered to the user's PC via social engineering – special psychological techniques that make “victim” to act as fraudster wants. E-mails with an attachment of documents or archive, to which the virus is attached actually. Most often, they contain specific text that will make the recipient not hesitate to see the content of the letter. For example, “WHOA! Take a look at that miracle!” Or more professional version, such like “Reconciliation Act, 04.14.2016”, which can come to the accounting department of the enterprise. Opening such a letter, all files on a PC are encrypted. The files that are placed on the file storage sites or torrent trackers. Typically, these are installation files of “e-readers”, audio-video players. However, the virus can hide in text documents and video files too. This problem today is no longer a headache of only users of laptops or stationary PCs. At gunpoint aren’t only Android users, who can be terrorized, for example by Trojan-extortionist called Simplocker, but also iPhone owners. Scammers are increasingly using malware and vulnerabilities of the system to blackmail the owners of phones of Apple company. Extortionists steal the user’s e-mail and lock the device using Find My iPhone service. To fight fraudsters back, all users of mobile devices and desktop PCs are obliged to remember the rules of cyber security. It is especially important to remember, since the encrypted data is impossible to decode independently in 99.9% of cases. 1. Do not open emails with attached files. 2. If you have already opened such letter, do not unpack the attached archive. 4. In the case of infection, and extortion of money by fraudsters, do not pay them, because data actually can be restored only in 1 case of 100. 5. Use Antivirus both on PC and on a mobile device.